Here at PensionBee we’re in daily contact with pension providers as we search for customers’ old pensions so that we can combine them into shiny new plans. This has given us a unique insight into the pension industry: we’re in touch with all the major players and we know how long it takes them to respond to requests for customer information, how much they charge in fees, and how long they keep customers hanging on the phone, for example. This information seemed too important to keep to ourselves, so we’ve put together the Robin Hood Index, so that you can see how your pension provider measures up. Our Customer Success Managers (we call them BeeKeepers) keep records of all their interactions with pension providers, which is how we know that the most expensive provider in our database levies an average annual fee of 1.6%. In terms of response times, the slowest provider takes a staggering 40 days, which is over double the average response time of 19 days. On the other end of the scale, the snappiest providers still take eight or nine days to get back to us. 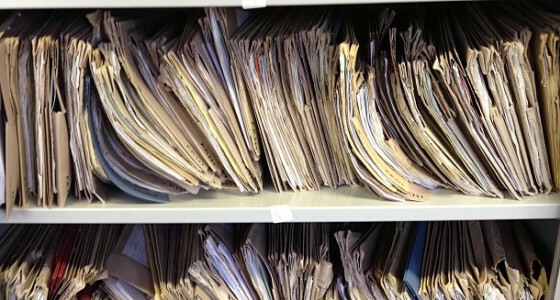 We thought that the days of sending stacks of information by post were in the past, but when it comes to pension providers it seems that this isn’t the case. Over half of providers are more likely to communicate by post than email, and several will only transfer pensions once the customer has completed a paper form. We’ve also come across some pretty hefty information packs – a whopping 17 pages from one paper-keen provider. So on our on-going travels through the pension world we’ve encountered steep fees, long waiting times and lots and lots of paper. But that’s not all. We’ve also been left waiting on the phone for over an hour, and discovered that one company charges customers £20 for providing them with information about their own pensions. Not to mention the fact that one pension company lost documentation for 16 information requests, and several providers struggle to navigate their own systems to find customer details. What does all of this show? Well apart from the fact that our BeeKeepers are a patient and persistent bunch, it shows that the pension industry has some serious shaping up to do. The reason that we speak to so many pension providers and sift through so many pieces of paper is that we find people’s pensions and combine them into a new PensionBee plan. Refreshingly, our pension plans are fit for the 21st century, with only a single annual fee and an online account where you can view your balance, see your predicted retirement income and set up contributions. Plus our mobile app is available for existing customers in the iTunes and Google Play stores, and you can use it to access your real time pension balance with PensionBee. Of course we’re happy to communicate over email and we won’t leave you listening to hold music for half a day or send you an encyclopaedia-sized welcome pack in the post. If it sounds like our way of doing pensions would suit you better, you can sign up to PensionBee here.